In a provincial Russian town circa 1870, a group of mystic revolutionaries have decided to overthrow the old order. Lead by a cynical, heinous chief, they have pledged soul and body to a Messiah, the sinister Stavroguine, a decadent exalted aristocrat. 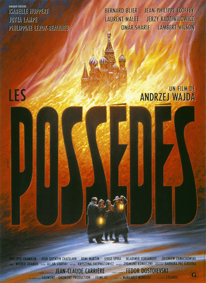 Dostoievski's The Possessed and their reign of terror over a town. In a heavy atmosphere, the young and charming sailor Querelle lands in Brest. 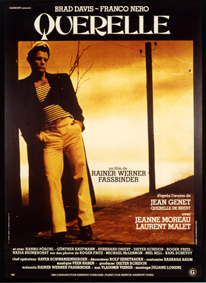 The harbor becomes the stage for a morbidly fascinating game where love-hate relationships thrive, with Querelle as both game-master and pawn. Inspired by Jean Genet's work, "Querelle de Brest", the film is as bizarre and spell-binding as the novel.